Cherokee High School: Highlights - CHS FCCLA receives outstanding marks at national competition!!! CHS FCCLA receives outstanding marks at national competition!!! 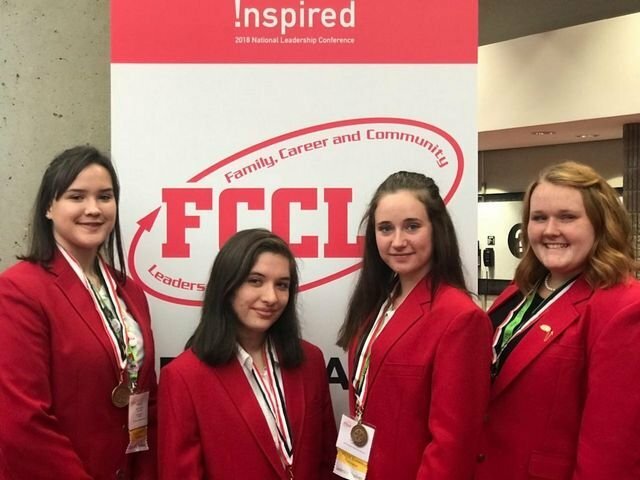 Neeley Greene, Wyndee Trevizo, Amber Burlison, and Hannah Jones represented CHS at the FCCLA (Family, Career, and Community Leaders of America) Nationals Leadership Conference in Atlanta in June. Neeley, Wyndee, and Amber received a Gold Medal for their presentation on Child Abuse. Hannah Jones received a silver for her presentation of an Energy lesson plan in Teach and Train.